It's best match with big family or group and very reasonable price. This house has 3 bedrooms and a kitchen. Best suited for a stay by family or couples or group travel. Max 8 persons can be accommodated. About 5 min by walk from Ishikawach station. 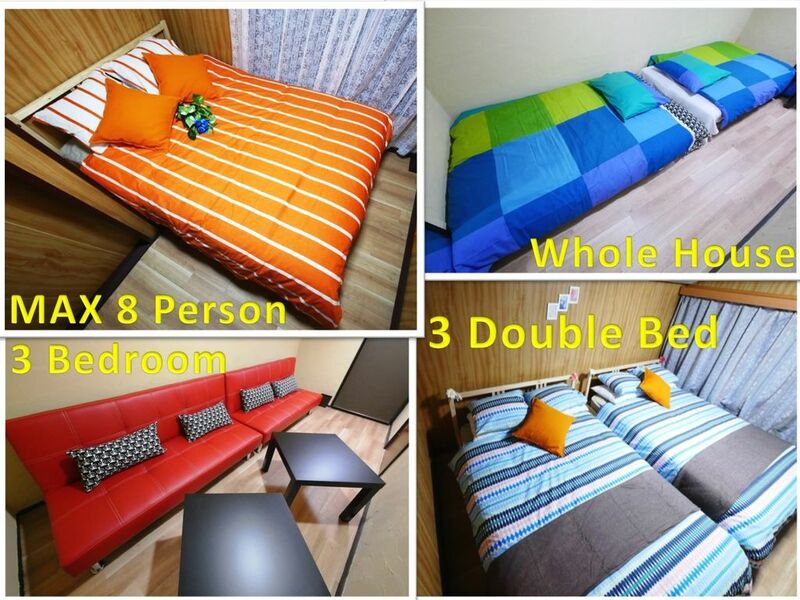 There are 3 double comfortable beds and 2 sofa beds in the room. This is a quiet area and very convenient to get on train. High-performance washing and drying, and you can spend comfortably cleanly with confidence in travel with less clothing. Great location in Chinatown and near the stations and BayStars Stadium. Hard to find, so I added pictures for the store at the corner and it made it easier to find for my family to find. Lack of air conditioning would be a problem in the warmer months and the noise from the restaurant behind would bet loud when the windows were open. All-in-all, a nice experience.